The heat of Reliance Jio’s welcome offer can be easily seen as the rivals are trying hard to attract new customers as well as retain their existing customers. After introducing postpaid plans with unlimited calls now unlimited offers for prepaid customers. 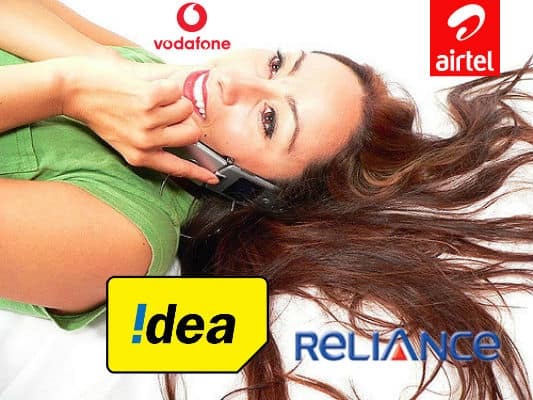 Airtel and Idea Cellular brings various schemes offering free voice calls to prepaid customers and additional data. Both companies bring these plans at priced Rs 150 and Rs 350 with 28 days validity. Vodafone also comes with unlimited calling for recharges above Rs 144 and free roaming on Vodafone network and 50 Mb free data and for those above Rs 344 unlimited free calls and free roaming on all mobiles network and 300 mb free data for 4G handset users and 1 Gb data for 4G handset users. BSNL is also not behind, it is considering new “less than” Rs 149 prepaid pack with free calls to all networks from January. Reliance Communications is also ready to compete in the market with its new unlimited voice calling plan at Rs 149 across any network. This plan with work on any device be it a feature phone or a smartphone. It is also given 300 MB with the plan across 2G, 3G and 4G connectivity. Thanks to the competition, both postpaid and prepaid users are now getting chance to choose from the cheap cell phone plans. Let us know which service operator is not only offering the best phone plans also providing great services.